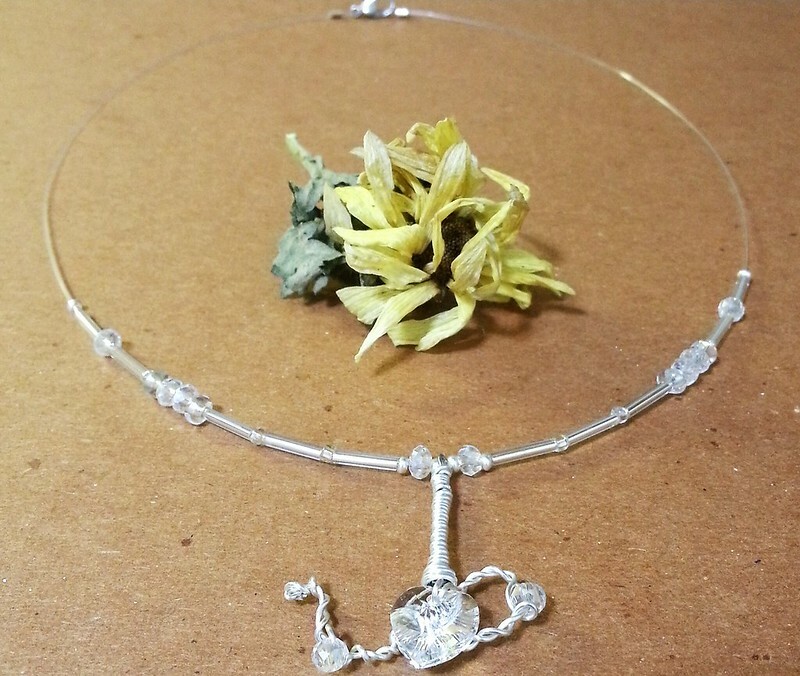 Swarvoski Glass Cystal Fairy Teapot Choker Necklace - Not available for sale. 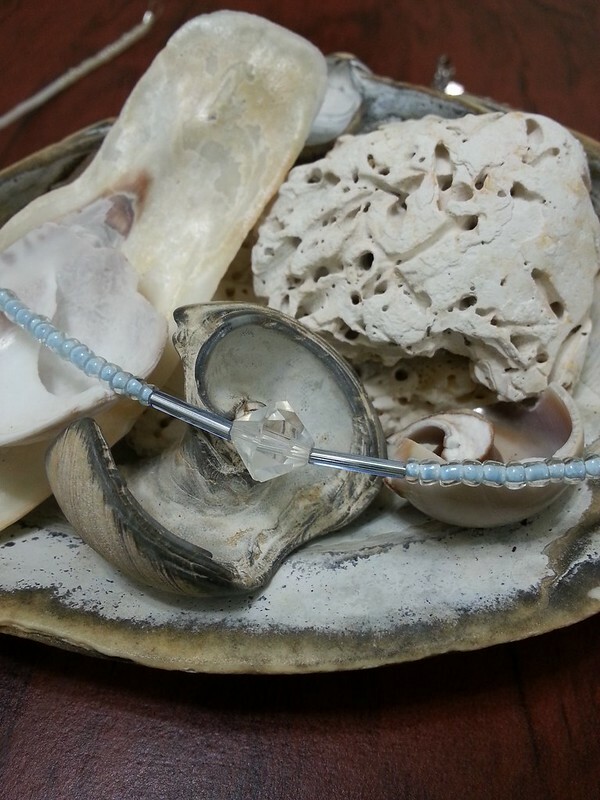 Please contact me for special requests. 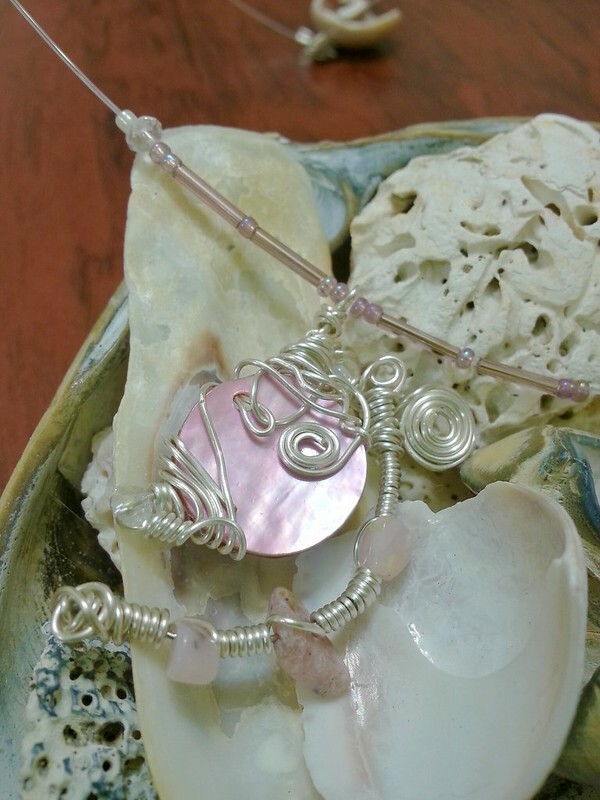 Floating Wire Wrapped Shell and Pink Opal Necklace with Swarovski Rondelle accents - Not available for sale. Please contact me for special requests. 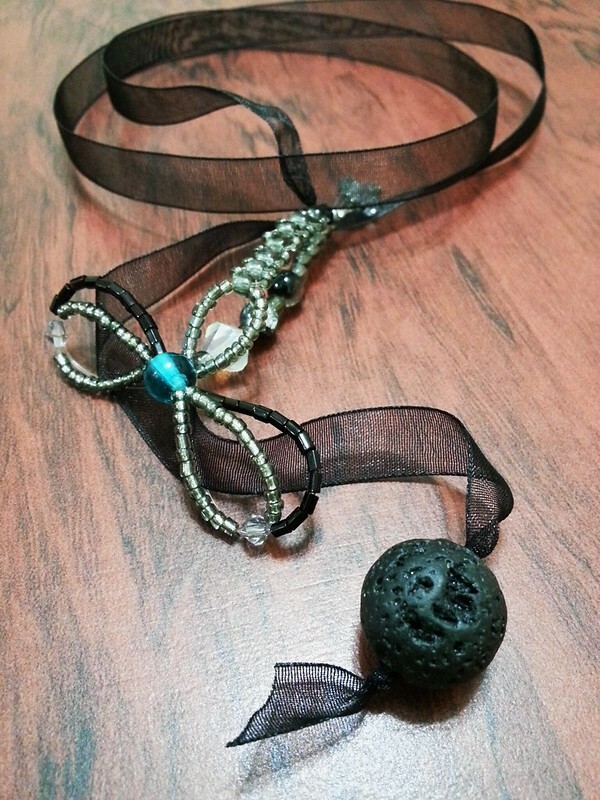 Glass Bead and Lava Stone Dragonfly/Damselfly Drop Necklace - Contact for details. 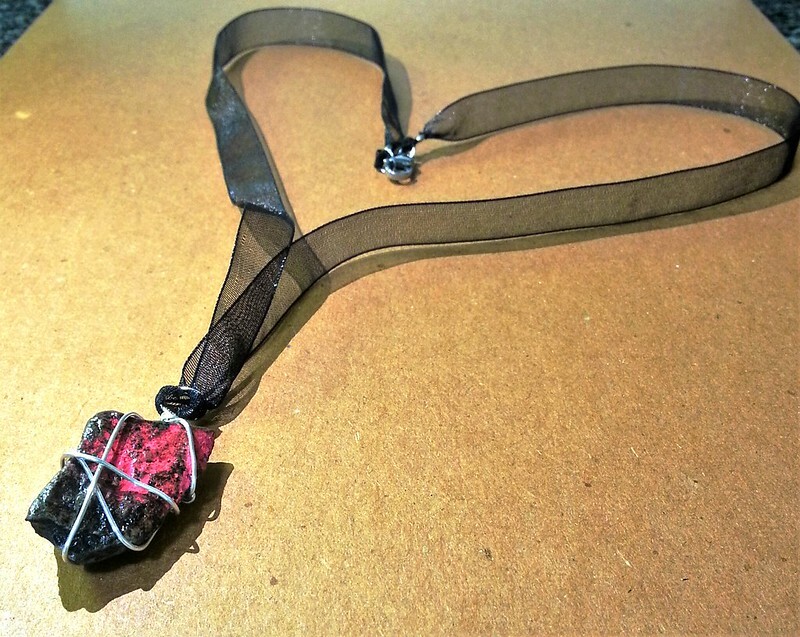 Wire Wrapped Acrylic Painted Gravel Grunge Necklace - Not available for sale. Please contact me for special requests. 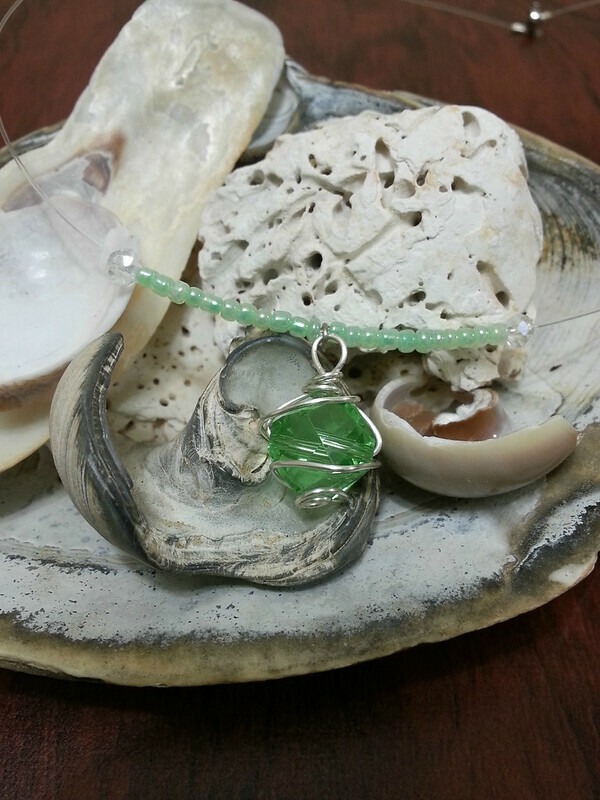 Wire Wrapped Green Glass Necklace - Not available for sale. Please contact me for details.